Do your tires have the proper amount of air pressure and are they in good condition? The recommended PSI (pounds per square inch) can be found on the sidewall of your tire. Every tire and therefore bike will have a different recommended psi. 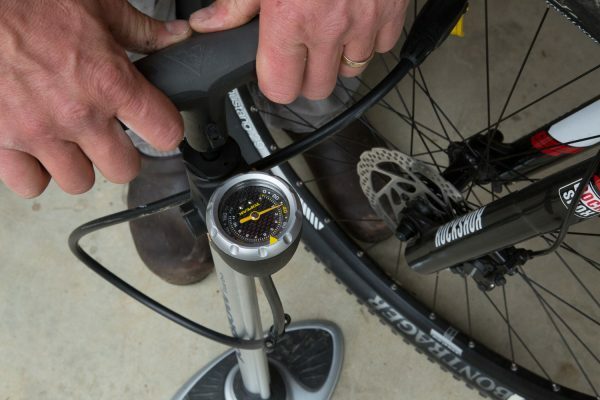 Use a pump with a gauge so you don’t over inflate or under inflate your tires. Are your brakes working properly? Give the brake levers a squeeze and make sure your brakes are stopping your wheels from rolling when you squeeze them. If you have any doubts about your brakes do not ride until you are confident they are working. If you cannot resolve the issue yourself our shop can help with those adjustments and repairs. Is your chain clean, properly lubricated, and moving freely when you shift? If you run your finger along your chain and it leaves a dirty, black smear it is time to clean and lubricate. Use a lint-free rag and run the chain (by turning the pedals backwards NEVER forwards) through the rag to remove dirt and grease. Be sure to lightly re-apply chain lubricant to the chain. Use a lubricant made for bicycle chains and be sure not to go too heavy. A little goes a long way. It is also important to ensure you do not get lubricant on your rims or brakes. If you do run across this problem clean immediately with isopropyl alcohol. Check your pedals and crank arms (those are what the pedals are threaded into) and ensure they are not loose. Ensure your quick releases (they are the things holding your wheels on your bike) are all securely closed and pointing towards the back of the bike so they don’t get caught on anything. If have bolt on wheels, instead of quick release, be sure to make sure those bolts are tight. Most kid’s bikes will have bolt-on wheels. The final step is the Quick Check. Stand back and take a look at your bike. Does anything look out of place? Are the handlebars straight and tight? Do the wheels move freely? If you have a kickstand is it working properly? 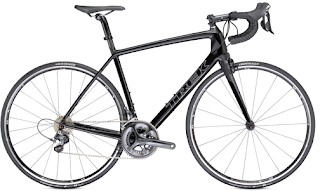 Are your shifters and brake levers even on both sides and tight on your handlebar? Is your seat level and centered and not wiggling around? Now you’re ready to ride! This routine shouldn’t take more than about 2 minutes and it is a great habit to develop and teach others. This routine can also save you some money by addressing small matters and not allowing them to become big problems. If you have any questions about your bike and if it is functioning properly stop by the shop and one of our staff will be happy to help you. 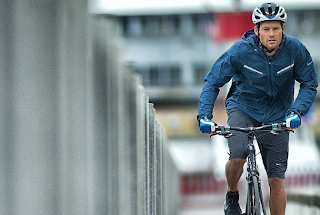 We invite you to take one of our complimentary Second Saturday Maintenance Clinics and learn a little more about your bike from one of our professional mechanics. You can register by visiting www.schellers.com. That's the number one thing i do check the bike first. I also check the hieght and the position of my saddle to avoid bike saddle numbness when cycling and bike touring.